A new article published last night by The Wall Street Journal takes a look into how accessibility-focused technology has the "potential to fundamentally change the mobility, employment and lifestyle of the blind and vision-impaired." The piece looks at advancements made by Apple, Amazon, Microsoft, Google, and other companies, including hardware and software like Amazon's Echo, Microsoft's Seeing AI app, and Apple's Siri. One blind individual, Mike May, discussed using dedicated accessibility technology like Aira, which provides users with special glasses that connect them to a human representative in real time who proceeds to describe the user's surroundings to them as they move around. Aira ranges from $89 for 100 minutes per month to $329 for unlimited access per month. While important for blind users to have technology focused entirely on their daily needs, advocate Mark Riccobono pointed out that introducing accessibility into existing devices, like Apple does, "may be an even bigger need." 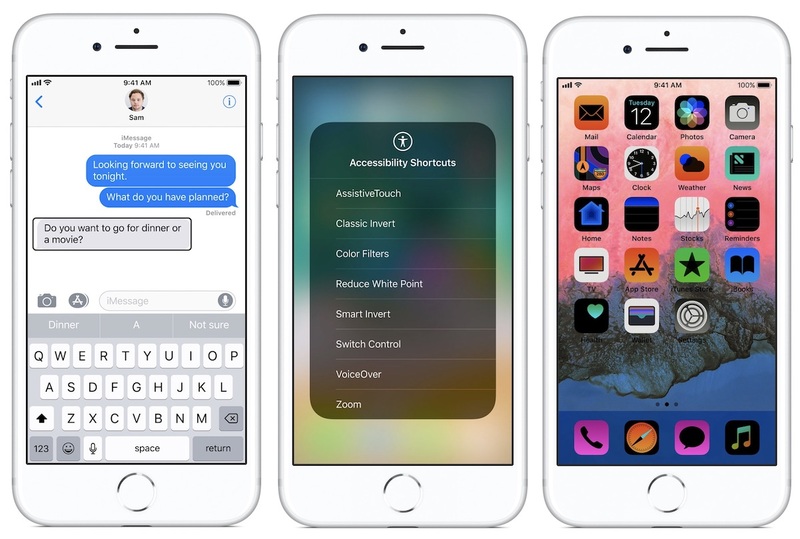 Apple's devices have numerous features aimed at visually impaired users, including VoiceOver, display accommodations, the magnifier and zoom, resizable text options, and more. These features are available across the Apple ecosystem on iPhone, iPad, Mac, Apple Watch, and Apple TV. One user, Erik Weihenmayer, mentioned using Siri to send texts to family members, which is also a functionality of HomePod. Of course, many of the voice-activated devices that have become powerful aids for the blind, such as Amazon’s Echo and Google Home, weren’t specifically designed for them, or with philanthropy in mind. Mr. Weihenmayer, for example, uses Comcast ’s voice remote to find TV shows, Apple’s Siri to send texts and Amazon’s Alexa to cue up his favorite music. The article ends with a focus on the next potential "life-changing" technology for the blind: the driverless car. Apple's own progress in this field is now reportedly focused entirely on an autonomous driving system that would be integrated into an existing manufacturer's vehicle. As Apple works on an autonomous system to launch on a wide scale in the future, it has already ramped up self-driving initiatives around its corporate campuses, recently signing a deal with Volkswagen to use Volkswagen vans as self-driving shuttles to transport employees in the San Francisco Bay Area. “Transportation can be a very large barrier in the lives of blind people,” impeding everything from employment to education, says Eric Bridges, executive director of the American Council of the Blind. “Having the ability to have one of these vehicles come and take you where you want to go, when you want to go, and not be constrained by the paratransit system or the fixed-route system,” promises a greater level of independence and freedom, he says. Other companies have beaten Apple to market in this field, most notably including Alphabet's Waymo, which is planning an autonomous car service for a wide launch in 2018. For its part, Waymo says it will put audio tools and Braille labels in its self-driving cars so that blind riders can perform tasks like requesting the car to pull over or calling a Waymo operator. For Apple, the company on May 17 highlighted a wide range of its accessibility features on its website in honor of Global Accessibility Awareness Day. The updated Apple.com accessibility page includes a short commercial from 2016 about real people with disabilities who use Apple products in everyday life, narrated by Sady Paulson, who uses Switch Control on a Mac. Otherwise there are dedicated sections on the webpage for different types of disabilities, including Vision, Hearing, Physical and Motor Skills, and Learning and Literacy. At the top of the page Apple explains, "Technology is most powerful when it empowers everyone." Only $329/mo for someone to see for you? I’m not even blind but want to try this, lol. I wonder how long before machine learning can take over this task with just an app? This is something I had not even considered before.